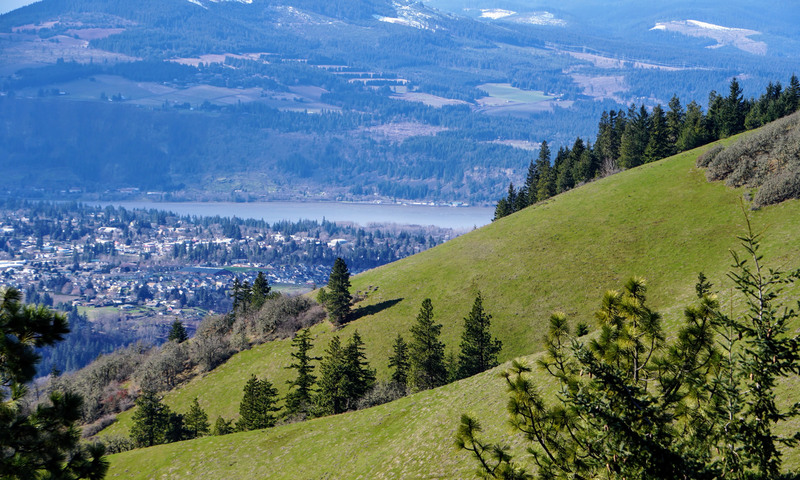 Legal issues related to real estate development and land use can be challenging, particularly in the Columbia Gorge, where there is often resistance to growth and development, and where the regulations of the Columbia Gorge Scenic Area are frequently a factor in developing. Mr. Kacena offers legal counsel to property owners, developers, lenders and contractors to assist them in accomplishing their real estate development goals. As a small, well- regarded real estate law firm in the Columbia Gorge, Jim Kacena has represented real estate owners and developers throughout the acquisition, development and construction process. He has over 40 years’ experience with commercial real estate development, acquisitions, subdivision development, zoning and land use approvals and construction contracting. The creation of a business or the purchase/ sale of an existing one has complex issues that must be planned carefully. It is critical that business owners consider all aspects of owning and operating a business in order to select the proper form of legal entity, structure it to the best advantage of the enterprise, and establish a firm foundation for the relationship among all the partners or shareholders. The issues are not only legal ones, but also business issues, such as operations or finance and accounting. As a former corporate General Counsel, Jim Kacena has been representing companies for over 40 years in all aspects of business law. He has broad experience in the structuring and formation of companies, purchase of businesses, stock and business asset purchases or sales. Jim was the lead attorney in many major corporate acquisitions over the years and has developed a unique ability to work with a business owner’s other advisors such as finance professionals, lenders, environmental consultants, engineers or business consultants. Find help with business formation and structuring of business entities, including limited liability companies, limited partnerships, limited liability partnerships, professional limited liability companies and corporations. Jim offers knowledgeable counsel about all business formation options available to his clients and works to help them select the best structure for the type of business they are and the type of governance they need. Business entities, whatever the form, often encounter internal management problems or business owner disagreements. Jim frequently advises the business entity’s governing board regarding the appropriate solutions to problems. He also advises individual board members, directors and officers regarding duties and obligations. When planning for the disposition of your estate, whether it consists of personal assets, or a family business, or both, one should engage a professional who is knowledgeable about the range of estate planning strategies that can meet a client’s goals. There is an array of tools that can be employed to structure an estate plan to meet the specific needs of your family. With many years of experience, Jim has helped numerous clients with estate planning, will preparation, trust creation, probate, powers of attorney, living wills, health care planning and health care directives. Because he is a solo practitioner, Jim works very closely with his clients to provide personalized service tailored to meet each individual’s needs. Mr. Kacena helps clients define their estate planning goals and then achieve those goals. He works closely and personally with clients to fit the best estate planning technique to the needs of the particular family situation. The materials appearing on this Web site are for informational purposes only and not for the purpose of providing legal advice. You should contact your attorney to obtain advice with respect to any particular issue or problem. Use of and access to this Web site does not create an attorney-client relationship between James L. Kacena, PLLC and the user or browser. You should not send any confidential information to us until and unless a formal attorney-client relationship has been established. Pursuant to applicable Rules of Professional Conduct, this Web site may constitute advertising. Prior results do not guarantee a similar outcome. Results depend upon a variety of factors unique to each representation. The hiring of an attorney is an important decision that should not be based solely upon advertisements. Before you decide, please contact us for an in-person or telephone consultation.